Government has started receiving medicines and medical sundries from suppliers and is distributing them across the country. They comprise medicines for daily use and sundries like gloves and face masks. Acting President Constantino Chiwenga visited Natpharm Company yesterday and saw truckloads of medicines. Others were taking medicines to different health institutions across the country. Acting President Chiwenga also visited the pharmaceutical department at Parirenyatwa Group of Hospitals. He confirmed that medicines were reaching hospitals. 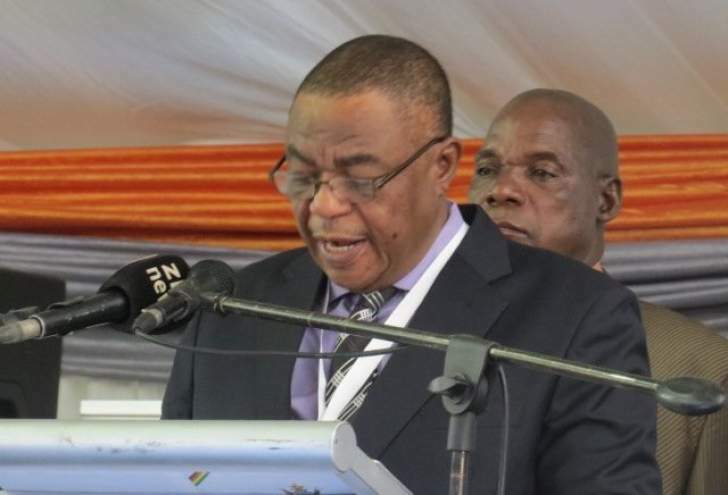 Speaking to journalists after visiting the institutions, Acting President Chiwenga said the country had satisfactory quantities of medicines. "We have got a very good quantity of medicine and I was asking them what will then happen when the big consignment comes in because we have a big order that has been made worth $25 million and I was trying to see how they are going to store and how they are going to do the distribution," said Acting President Chiwenga. He said while Natpharm had six warehouses in Harare, Bulawayo, Gweru, Masvingo, Mutare and Chinhoyi, Government was keen on seeing that the medicines were distributed to all the health institutions. "I was watching our national news and I saw people saying we do not have gloves. We touch infectious patients without proper gloves and this is one of the things which I wanted to check and see. I have seen that those things which they wanted were there," said Acting President Chiwenga. Speaking at the same occasion, Health and Child Care Minister Dr Obadiah Moyo said all the essential medicines were now in stock. "All the essential medicines are available. Yes it is not 100 percent but we have to start somewhere. Our stock levels were low, like he indicated the economic situation is not that conducive but we have tried our best," said Dr Moyo. He commended Government for availing the US$25 million facility saying it will go a long way in boosting current stocks. Dr Moyo said Government required at least US$85 million a year to meet demand and the US$25 million availed will cover at least the first quarter of 2019. "We are continuously grateful to the Presidency for identifying a further $25 million for the medicines which are on order now. It is just because of the break (Christmas) otherwise the medicines would have started coming so after the holiday we expect to get more medicines," said Dr Moyo. He said Government was committed to ensuring its employees worked in a safe environment. Asked about some expired labels on some consingments in the warehouse, Natpharm managing director Ms Flora Sifeku said most of the medicines were antiretroviral drugs. She said they have been phased out with the introduction of new treatment regiments. "We do not just dispose the old regimen without following due process otherwise the medicines will be brought back on the market through back door," said Ms Sifeku.